​ You are standing paralyzed filled with doubt, filled with fear. You stare at the deep end of the pool wondering if you should jump in. You lift your gaze to meet the eyes of the lifeguard on duty. Your eyes go back to the water. It looks peaceful and calm. "I could really make a splash" you think to yourself. 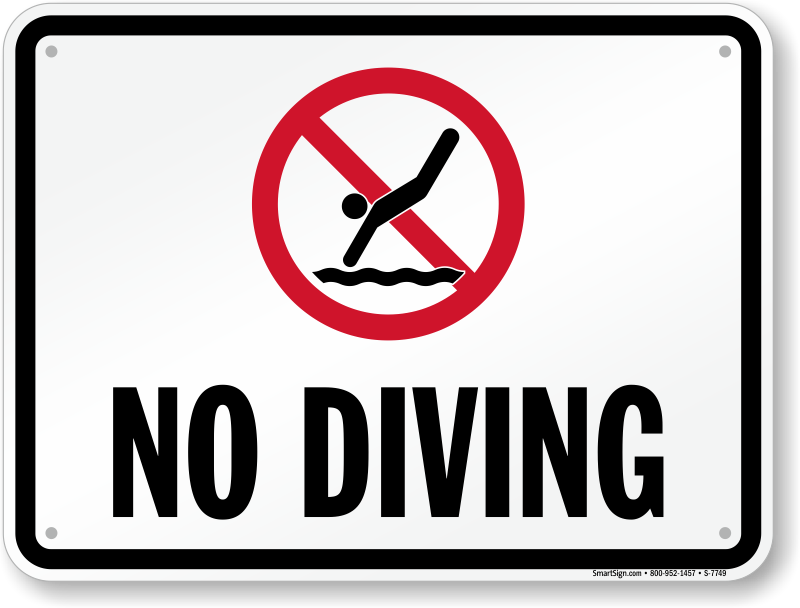 Hmm, but at your feet, in bright red paint, as to subconsciously symbolize a Stop Sign, you read "No Diving." Your eyes turn back to the lifeguard. He gives you a look as if saying "don't even think about it man." 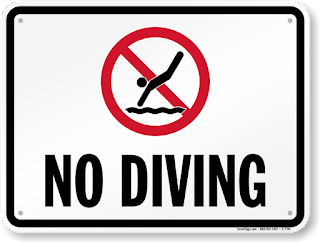 Every instinct, every bone in your body is screaming out "do it, do it, DIVE IN, it'll be FUN." But something is holding you back. What is it? Since 2013 I have been performing Male-to-Female makeovers on private clients here in New York City. Many of my clients come from out of town. Recently a potential client emailed me. He is flying into town and has reservations about going through with the Male-to-Female makeover. Below is an excerpt of our email communication. AMNESIA: Yep, I've heard that before from a girl that was in a similar situation as you. She decided not to go through with the makeover and as soon as she returned to the West Coast she instantly regretted her decision not to go through with the makeover. A lot of my girls first have to feel the heavy weight of regret before they start living life on their own terms. It's a theme with many of my girls. That's why I never pressure my girls, I just let them make the decisions they think are best for them even if they may cause themselves pain. CLIENT: Well said. That's the hardest part, knowing I will regret it because I love makeovers, and getting one from you has always been a dream. Part of me feels like getting one while in a relationship will taint it but if this relationship lasts it's unrealistic to believe I won't get another one again because I enjoy it too much. 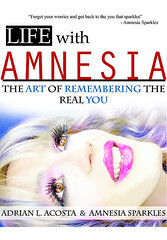 AMNESIA: Hmmm, I guess the question then is: how would YOU getting a makeover directly affect the person you're dating? CLIENT: Great question, would not at all (unless she found out which would be impossible). It is more mental in my case I guess. Almost makes me feel like I'd be cheating. But I know this is a part of me that I can't just ignore forever. AMNESIA: Are you feeling this way because she in the past has expressed disapproval of Crossdressers or because you assume she will have a problem with you dressing from time to time? CLIENT: I assume she wouldn't be into it. Also, there's no denying the fact that dressing up is a sexual thrill for me, but part of the thrill is the fact that no one knows and it can be an escape from my normal self (that I prefer being 95% of time). CD and TS deff turn me on but from exploring in the past it's something that turns me on fantasy wise but when push comes to shove I way rather prefer dressing on my own (do love compliments on pics of course). AMNESIA: Sounds like you're ok continuing to dress on your own so there is no need for a makeover is there? If there is no need for a makeover then there is no dilemma right? And you can use your time in the city this weekend doing other things you enjoy right? Like buying your girl a souvenir. These are some of the dilemmas that are best discussed over a phone conversation of course and not through email. Everyone grows at their own rate. I know this because there have been instances where I get an email from a client and it takes them a whole year to build up the courage to go ahead and book a makeover with me. Fear is a hell of an emotion and state of mind that all of us have to conquer on our own. That being said, if there is one thing I've seen over and over again with my clients, by looking into their eyes at the end of a session, is that many of them say to me "I don't know why I was so afraid. I should have done this years ago." I won't push you in the pool, but I will say that it is super fun to jump in. When you're ready, come in. The water's fine.